The 8th Annual 100 Innings of Baseball for ALS, aka Lou Gehrig’s Disease, this year supported the Beth Israel Deaconess Medical Center on behalf of umpire chief Walter Bentson. Over the course of the game, Bill “Spaceman” Lee pitched twice, sporting the oldtimer glove and uniform worn by the Hollywood Stars. 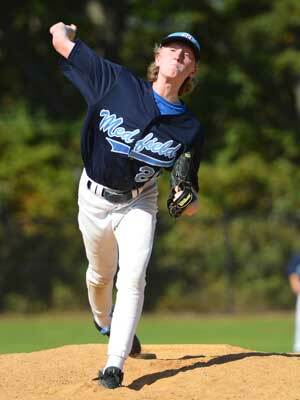 Gehrig Schilling, son of Red Sox legend Curt Schilling, and named after Lou Gehrig, pitched the 95th through 99th innings with support from his Medfield team for the second straight year, and recorded the hold in a tight ballgame. About 100 ballplayers participated in the game, including 16 players competing in all 100 innings. Other game highlights include a grand slam by Ryan Bere of the MABL Blue Jays, and the complete game from Bobby DeAngelis of Rutland, Vermont who played a 200-inning game earlier this season to set the new Guinness World Record. 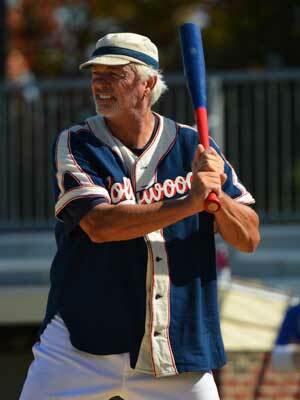 Bill Lee, “The Spaceman” pitching at 100 Innings of Baseball in Quincy, MA.